As the digital era progresses, organizations are looking to update their old, on-prem ERP systems. 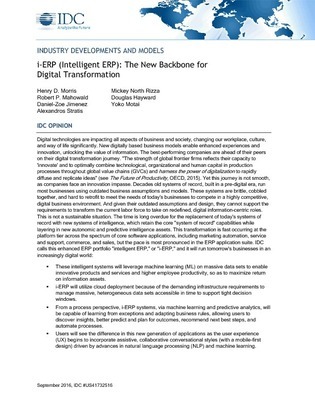 The idea of “intelligent ERP,” which places a bigger emphasis on machine learning and predictive analytics, is quickly gaining popularity and replacing outdated systems. It’s a point of emphasis for ERP vendors such as SAP, IBM, Oracle and Microsoft.